The Cathedral Basilica of Our Lady of Amiens is a Roman Catholic cathedral and seat of the Bishop of Amiens. 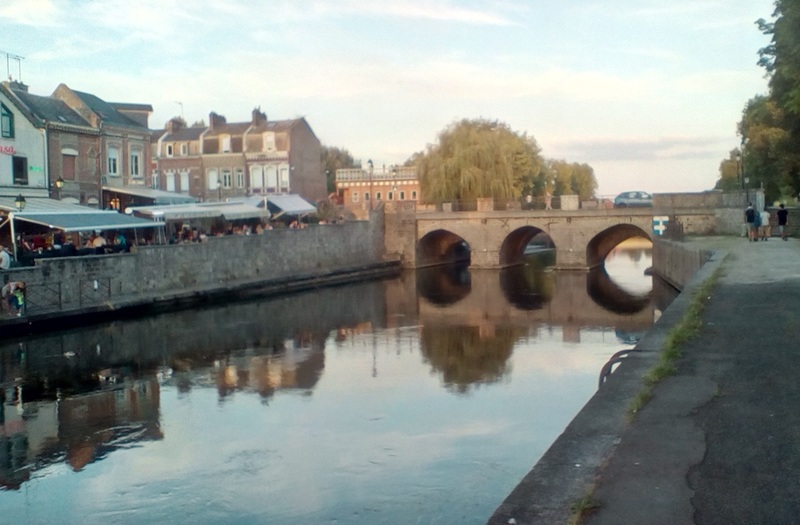 It is situated on a slight ridge overlooking the River Somme in Amiens, the administrative capital of the Picardy region of France, some 120 kilometres (75 miles) north of Paris. It is the 19th largest church in the world. Medieval cathedral builders were trying to maximize the internal dimensions in order to reach for the heavens and bring in more light. 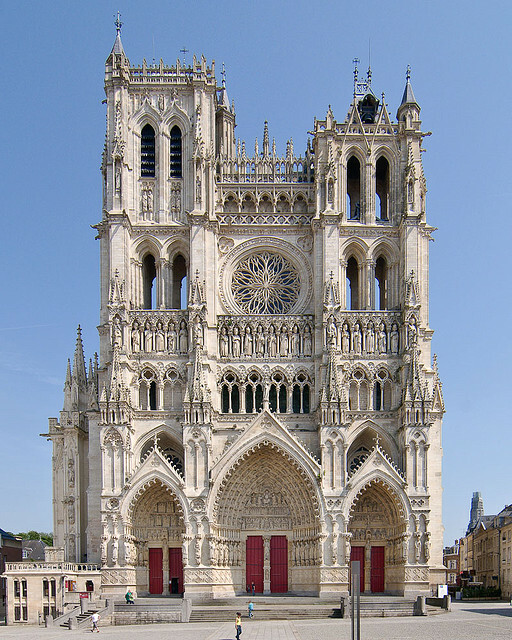 In that regard, the Amiens cathedral is the tallest complete cathedral in France, its stone-vaulted nave reaching an internal height of 42.30 metres, you could put Notre Dame, Paris, inside it. The cathedral was built between 1220 and c.1270 and has been listed as a UNESCO World Heritage Site since 1981. Although it has lost most of its original stained glass, Amiens Cathedral is renowned for the quality and quantity of early 13th-century Gothic sculpture in the main west façade and the south transept portal. Amiens Cathedral, Amiens – Venice of France. Marty, Br. Michael and Vicar General.